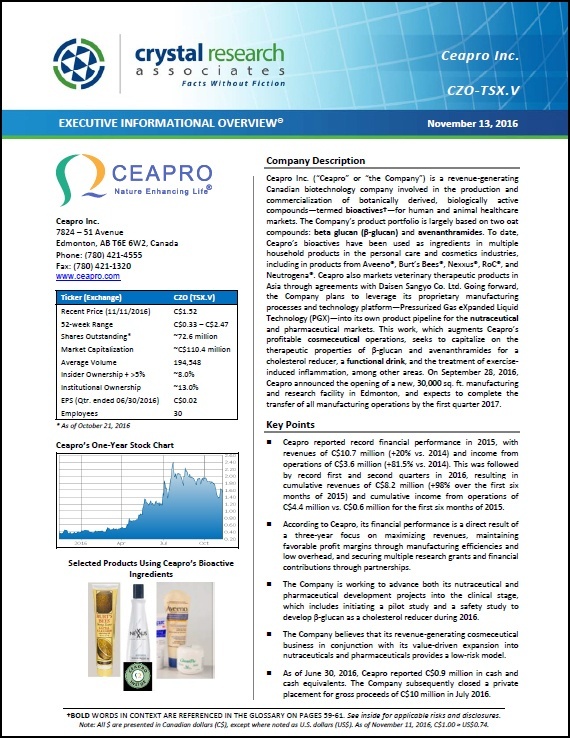 An Executive Informational Overview (EIO) is now available on a revenue-generating Canadian biotechnology company, Ceapro Inc. (CZO-TSX.V). The EIO is a 64-page report detailing Ceapro's business, products and pipeline, strategic relationships, market opportunities, competition, financials, risks, and more. It is available for download below. We provide investor-based research and corporate communications services to companies worldwide. Visit our About Us page to learn more.